As phones get more advanced and more densely packed with tech, their construction becomes less conducive to user serviceability. 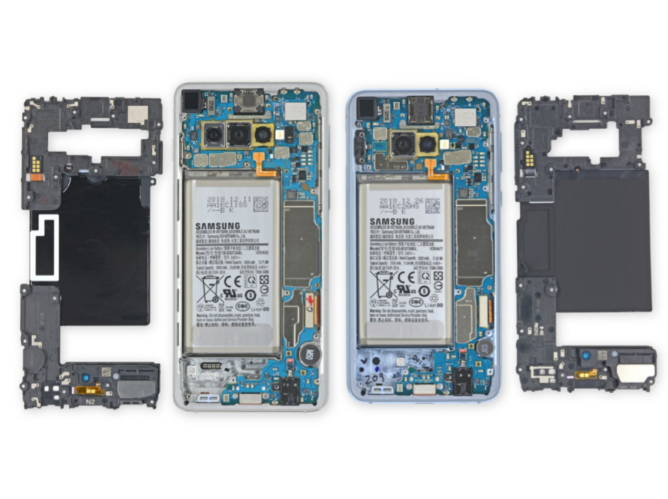 That continues to be true with Samsung's new Galaxy S10, which the prolific device disassemblers at iFixit have picked apart and given a score of 3 out of 10 for repairability. Other recent Samsung phones like the Galaxy S8 and Galaxy S9 haven't received great scores from iFixit, either, both rated at 4 out of 10. 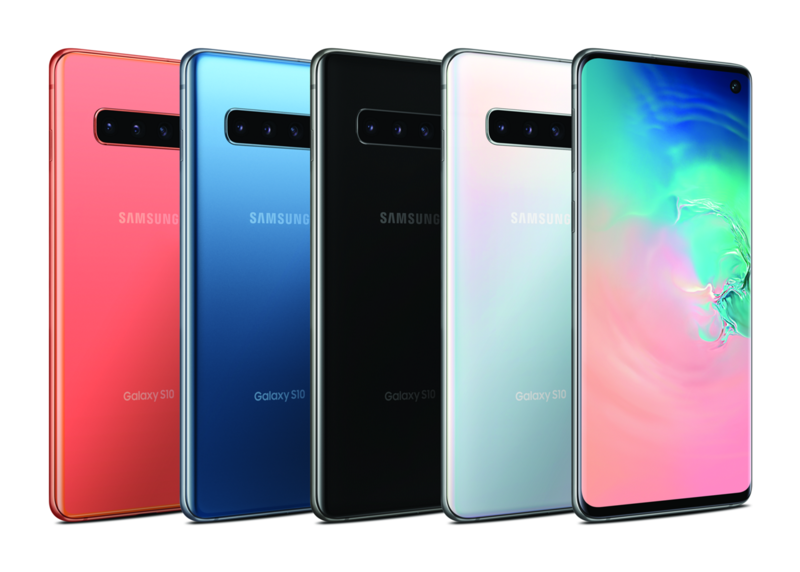 The S10 and S10e manage to be even tougher nuts to crack largely thanks to liberal application of tough adhesive throughout the devices, which makes common repairs like screen or battery replacements unnecessarily prickly. Compounding battery replacement difficulty is the absence of pull tabs. 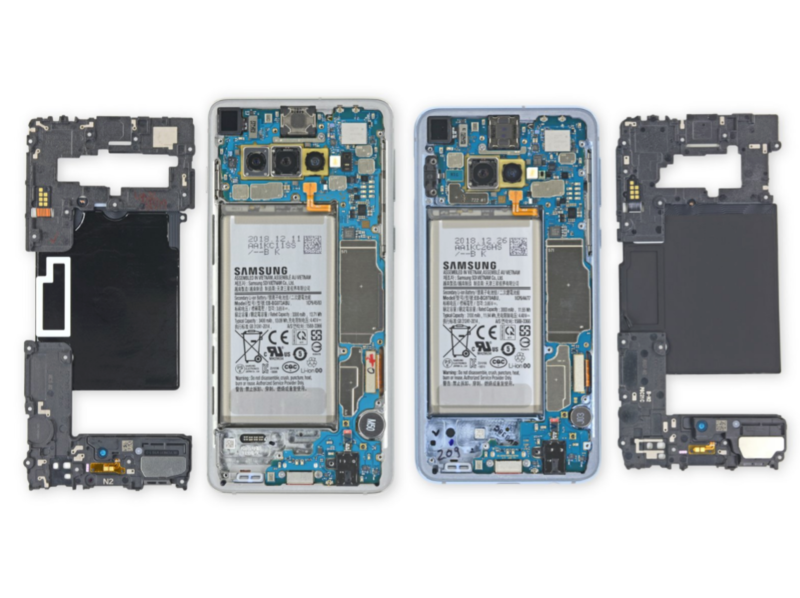 Like the S9 before it, many of the Galaxy S10's components phones can be replaced individually — always a plus. One notable new exception: the charging port is now soldered to the board (Samsung, why?). You can read iFixit's full report at the link below. For a different perspective, check out JerryRigEverything's teardown of the S10, where you'll get to see the phone's guts in motion.